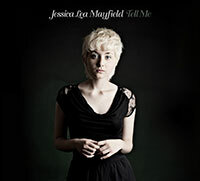 Jessica Lea Mayfield was the #1 debut last week on the CMJ charts! Now she’s poised to climb the charts and set to perform on Late Night with David Letterman this Friday, February 25th – check local listings for times. Until then, enjoy this interview she did on NPR’s Weekend Edition Saturday.